I will never forget going over to the Presidential Residential Complex as the Rush Chairman of my college fraternity to help move a rush prospect into his dorm room. Our prospect was to room with a young man who was approximately 5’6″ and weighed in the neighborhood of 155 pounds. I started talking with the prospect’s roommate and he told me he had come to the University of Tennessee to play football. Inside, I laughed at him. Four years later, the same guy I had MISTAKENLY discounted, the guy whose dreams seemed unrealistic to me in the dormitory on the occasion of our encounter, the guy who seemed to boast he had come to Tennessee to play football, PLAYED A LOT OF DAMN FOOTBALL! He would go on to catch 35 passes at WR for Tennessee in 1991 and then start in the Sugar Bowl. In all, if my memory serves me correctly, he played in Tennessee’s two deep for three years and eventually became a starter. He also played a few years in the NFL and his name was, and still is, J.J. McCleskey. Years later, at Christian County High School, Donovan Keith would play his prep football. I wish there would have been a Kentucky Prep Gridiron there to publicize his talent and gifts, but KPG didn’t exist then. 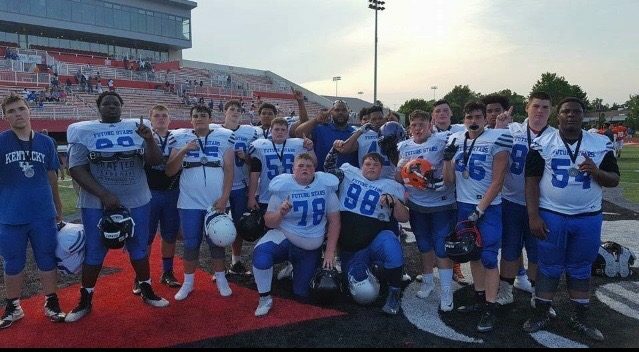 Unfortunately, Kentucky has been regarded by football recruiters as a basketball state and football recruiting coordinators don’t independently research Kentucky talent as much as that talent deserves. Parents, most of whom are new to the process, don’t understand how to publicize their player, with what services or publications, and that one can’t just hope the recruiters will show up on Friday night and watch their son play and, then offer. Donovan, as a senior, had all the tools. He was 5’10” corner with 4.53 speed in the 40, a 4.4 second pro-shuttle, who bench pressed 315 pounds and squatted 375 pounds, or over twice his body weight. Those are fantastic numbers. Just in case you don’t believe his 4.53 forty speed, the kid also had a 37 inch vertical, so the speed is legit. If you don’t understand the correlation between running speed and vertical jump you need to find a new on-line site to read, you don’t know enough about football to read this one. What Donovan has done at Murray State University is J.J. McCleskeyish. Murray State kept ONE of the walk-ons who tried out for its football team and that ONE was Donovan Keith. 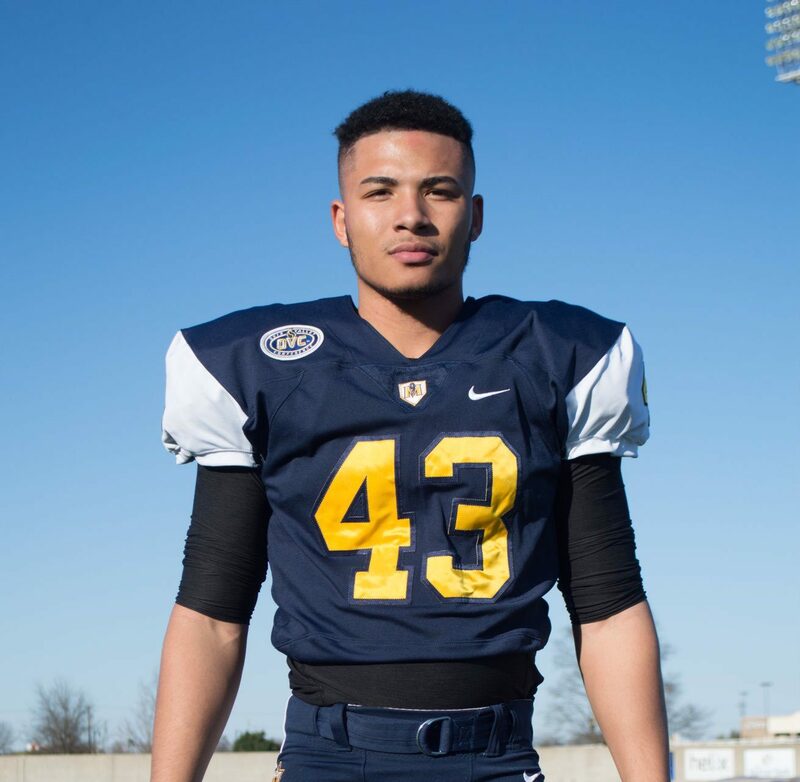 They kept him because he is that good, they kept him because he deserves to play college football there, they kept him because he should have been a scholarship football player at Murray State University from jump street. Donovan fell through the cracks because of a lack of publications in existence in his area promoting outstanding prep players. Had there been a KPG we would have enabled Donovan to get noticed by the people who count. We could have helped him in the same way we were able to make a difference for Jacob Buie, perhaps (See the May 29, 2017 article, What KPG can do for your son). Our failure wouldn’t have been for want of trying. Donovan was interviewed for his recruiting profile on NCSA (Next College Student Athlete) and said the following: One of my dreams has always been to play collegiate football. If given that opportunity, I truly feel I would seize it. I know I would embrace the work, self-discipline and commitment level that comes with being a successful student-athlete… From where we sit, Donovan Keith, it would appear you have truly seized your dream, you have seized an opportunity, you have embraced the work, self-discipline and commitment which is required to make a college football team. You are a Division I, college football player for the Murray State Racers. We may not have been there for you, but we are here for the Donovan Keiths who will come after you. Go on that field and be the athlete and young man you were trained to be and the playing time will take care of itself…ask my friend J.J. McCleskey. Remember ballers…PLAY THROUGH THE WHISTLE! The Bret Cooper Junior Academic All-American Bowl Game is the #1 bowl game in the nation. Players who are selected to participate in this bowl game demonstrate the ability to hit opponents as hard as they hit the books. These players also understand that academics and character are more important than just simply being an athlete. The term student-athlete means student first and athlete second. The Bret Cooper Junior All-American Organization knows that “A” comes before “O” and there is no offer without the academics. The honor of being selected for this game has many advantages. For example, you will be scouted by some of the top schools in the country, be coached by former NFL players and have the potential to be put on the early list for recruitment. You will also become part of an exclusive fraternity that only a few kids the in nation will ever experience. NOMINATE YOUR PLAYERS TODAY !!! CLICK HERE !! !